Within easy reach of Birmingham, the NEC Arena and major rail and motorway links, Moor Hall is easily accessible for all. Though thanks to its beautiful gardens and grounds, you will feel worlds away from the city. The hotel offer a range of walks around the local area from 3 miles to 6.5 miles. Please pick up a leaflet from the Leisure Club reception when you arrive. 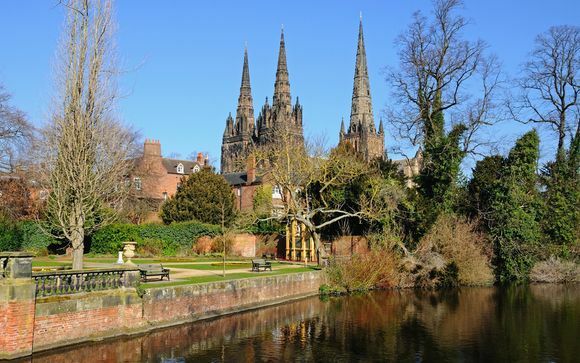 Well worth a visit, the elegant city of Lichfield is dominated by its magnificent three spired 12th Century Cathedral known as the "ladies of the vale". The hotel offers reduced priced tickets to their guests! Overlooking the River Avon, within the town of Warwick, lies one of the finest examples of medieval history. Perfect for a family day out, why not discover Warwick Castle - Britain's greatest medieval experience. Moor Hall has been owned by the Webb family for 50 years now, and it is this personal touch that sets them apart. 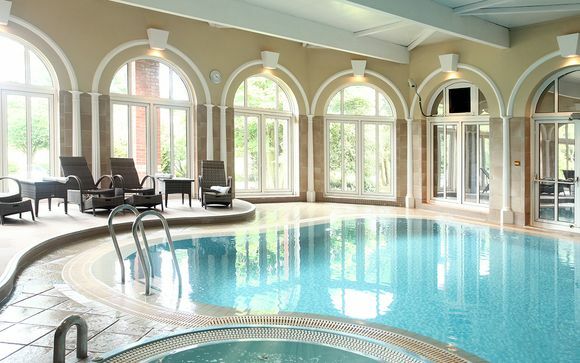 A four star country house hotel, set in beautiful parkland, there are 82 comfortable bedrooms, 2 restaurants, beautiful gardens and grounds and a Thalgo spa and leisure centre making Moor Hall the perfect place for a relaxing weekend away. The intriguing history remains evident throughout, in the intricately carved woodwork and stone. First records of Moor Hall date back to the 15th century when it was owned by a Roger Harwell. Bishop Vesey then rebuilt it in 1527 and lived at Moor Hall supported by a retinue of 140 servants. He frequently entertained Henry VIII, which is why, it is thought, Sutton Coldfield was awarded its royal charter. Just for you: complimentary upgrade to a Superior Room. Superior rooms are particularly spacious and have the added benefits of a mini bar and fluffy bathrobes and slippers. Enjoy rich wooden furniture, soft lighting and all the amenities you will need to make you feel at home, including an ipod dock and a pillow menu for a great night's sleep. This offer is based on a bed and breakfast stay. 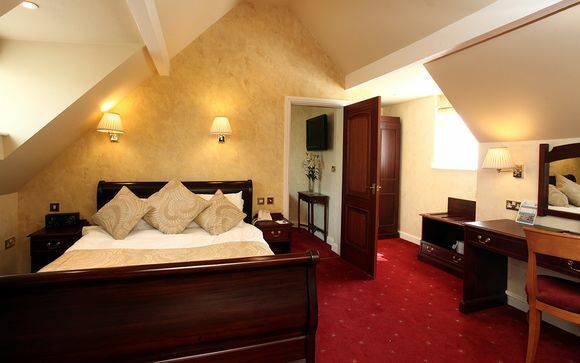 Members booking offer 2 will receive a 3 course carvery meal on each night of their stay. The award winning AA Rosette Oak Room restaurant offers the perfect combination of delicious food and friendly attentive service. By day it has sweeping views across Moor Hall golf course, by night there is a cosy and intimate atmosphere, making it perfect for a relaxed evening out or a special celebration. The Head Chef uses only the best of fresh, local and seasonal ingredients to create modern British dishes that are cooked with imagination and served with style and the menu is complemented by a great selection of fine wines. The Country Kitchen offers a wide selection of freshly prepared dishes. For starters, help yourself from the salad bar or home-made soup, then there is always a variety of roast joints, fish dishes, and casseroles accompanied by fresh vegetables and sauces. Sweets come next, of course, including one hot pudding from the kitchen, plus coffee. The oak panelled lounge bar and terrace offer a more informal dining option. The Terrace & Bar Menu is available here from 10am until 10pm every day, and whether you want to enjoy a snack in the morning, a light bite, a full meal or a delicious afternoon tea, you’ll find something to suit you. The terrace, with its fabulous views over the surrounding golf course, is bathed in sunshine throughout the summer and is the perfect spot to relax and enjoy an al fresco drink or a meal. If the British weather refuses to co-operate, and you don’t want to come indoors, you can still enjoy the al fresco dining experience because the huge canopies are heated! The Thalgo Spa is the perfect place to relax and forget the stresses of modern living for an hour or two. Experienced therapists offer a range of wonderful facial and body treatments, suitable for men and women, plus Reiki, Indian Head Massage and Reflexology. The Spa area features an indoor swimming pool, spa bath sauna & steam room, plus a gym and aerobics room for those who want to work up a sweat! After your chosen treatment take time to relax in the Spa lounge with a herbal tea. The two nearest train stations to Moor Hall are Four Oaks (2.1 miles) and Sutton Coldfield (2.3 miles) which are on the Redditch/Longbridge to Lichfield line. Journey time from Birmingham New Street station is around 25 minutes. From the South and London: Leave M6 at Junction 4 and follow the A446 Lichfield for 10 miles. Ignore initial signs to Sutton Coldfield. * Then at Bassetts Pole roundabout, take the A453 Sutton Coldfield to traffic lights. Turn right into Weeford Road and Moor Hall Drive is 150 yards on the left. From the M6 Toll: From the North Join the M6 toll at junction 11a of the M6 Exit at T4 and turn right at the island to join the A38 South towards Birmingham. At the roundabout (Bassett's Pole) turn right on to the A453, signposted Sutton Coldfield. At the traffic lights turn right into Weeford Road and the entrance to Moor Hall Drive is 150 yards on the left. Turn right as you enter the drive. From the South Join the M6 toll at either junction 7a of the M42 or junction 4 of the M6. Exit at T3 and turn right at the roundabout on to the A38, signposted Lichfield. At the roundabout (Bassett's Pole) turn left on to the A453, signposted Sutton Coldfield. At the traffic lights turn right into Weeford Road and the entrance to Moor Hall Drive is 150 yards on the left. Turn right as you enter the drive.